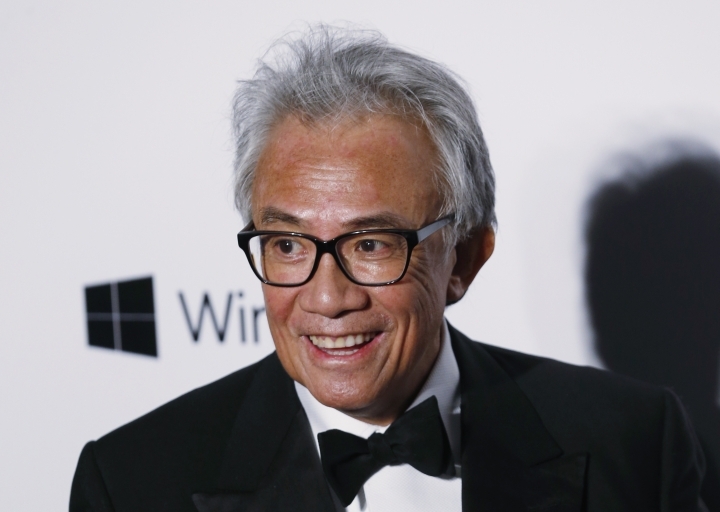 HONG KONG — David Tang, the flamboyant and outspoken socialite and entrepreneur who founded the Shanghai Tang fashion brand, has died. He was 63. The Financial Times newspaper, for which he wrote a popular tongue-in-cheek advice column, reported Tang's death in a story Wednesday. Tang had fought a long battle with cancer and died Tuesday night at the Royal Marsden Hospital in London with his wife Lucy at his bedside, the newspaper said. 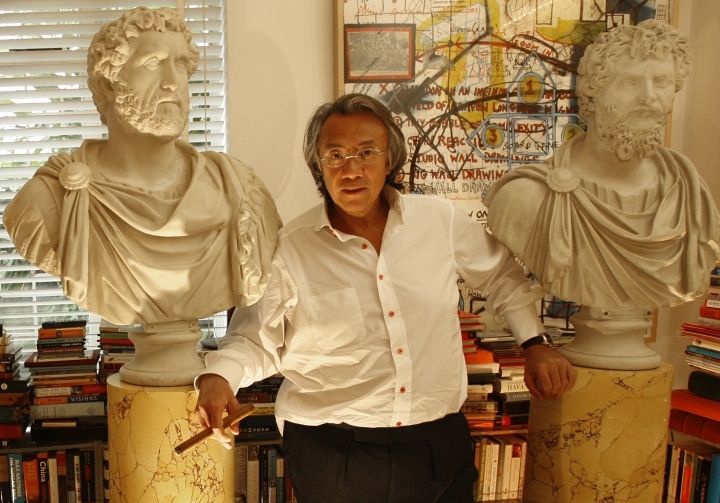 "David Tang was a remarkable man of many talents whose charm, erudition and wit were ever present," the article quoted the newspaper's editor, Lionel Barber, as saying. "He will be sorely missed." 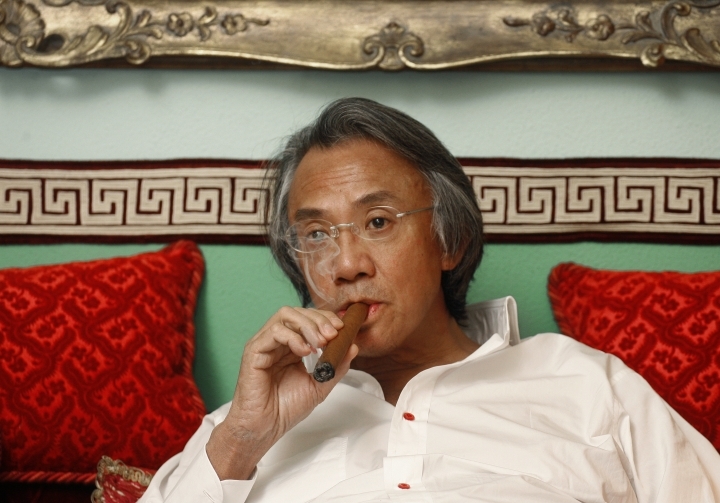 The Hong Kong-born, British-educated Tang was a businessman who operated private clubs and restaurants and held exclusive distribution rights to Cuban cigars in Asia. 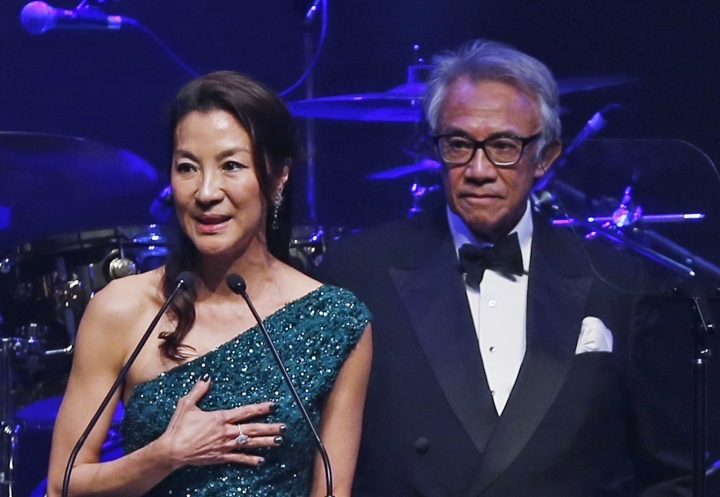 Tang was knighted in 2008 for his charitable work in both Britain and Hong Kong, the same honor his grandfather, businessman and philanthropist Tang Shiu-kin, also received. He was planning to throw a farewell bash on Sept. 6 at London's luxury Dorchester hotel after learning he only had a few months left, according to Ewan Venters, chief executive of luxury department store Fortnum & Mason. "Personally, I think the world is a little duller for the loss of David and at such a relatively young age," Venters said. Tang was best known for starting the Shanghai Tang luxury brand in 1994, which pioneered the use of Chinese retro design themes as fashion motifs. He later sold the brand to the Swiss luxury goods company Richemont. He caused a stir by opening the members-only China Club in 1991 on the top floors of the old Bank of China building in Hong Kong's financial district, expanding it to Beijing and Singapore. 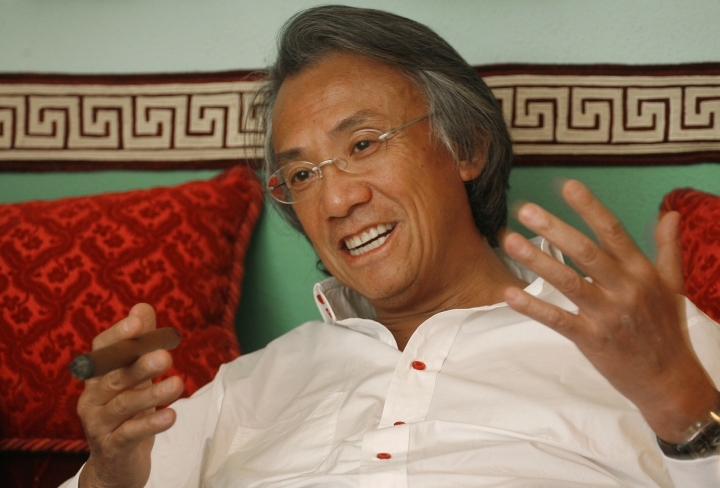 He opened the China Tang restaurant in the Dorchester. Tang enjoyed a reputation as the best-connected person in Hong Kong and London. He mingled with a vast list of the rich and famous including the late Princess Diana, whom he once hosted at the China Club, and supermodel Kate Moss, with whom he was often photographed at parties. Actor Russell Crowe called the businessman "witty, charming, intellectual, salacious" in a tweet Wednesday, saying: "RIP dear friend Sir David Tang, the privilege was mine." In a 2007 interview with The Associated Press, Tang was asked how he came to know so many notable people. "You mean how did they know me," he shot back with a laugh. 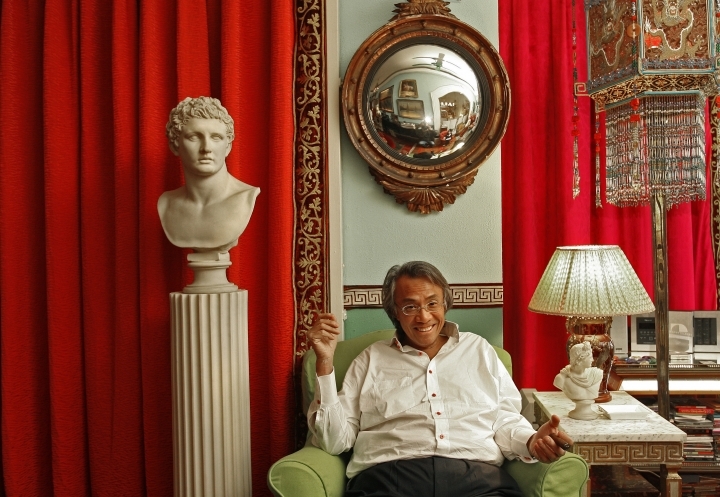 He has famously recounted how he sent off to school in Britain at the age of 13 barely able to speak a word of English. But he ended up graduating with a philosophy degree and cultivated an arch British accent. 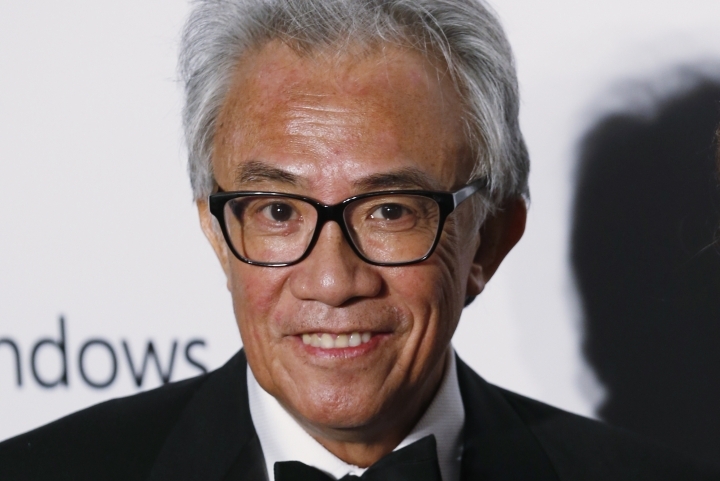 Last year he weighed in with his frank views on Hong Kong politics, lashing into the city's then-leader Leung Chun-ying over his leadership and fretting about the future of his home city under Communist rule. "There are many more things which need fixing, and most of them could not be achieved given the standoff between the pan-democrats representing the majority of ordinary people, and the establishment, so-called, hugging most of our somnambulant tycoons, and that elephantine Communist Party in China," he said in a speech . Tang is survived by his wife, British-born Lady Lucy Tang, and two children from a previous marriage.